While his vocal talents might be nothing to sing about, Ryan Murray’s musical skills certainly aren’t lacking. 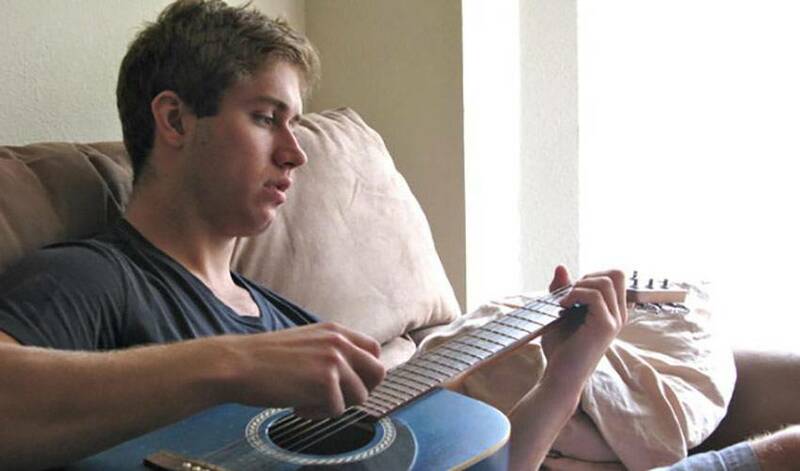 It was during his junior hockey career with the WHL’s Everett Silvertips when a then-teenage Murray was introduced to the guitar through a teammate while rooming together. Soon enough, Murray also became hooked. The defenceman did his research and then set out to buy one of his own, finding just what he was looking for at a local guitar shop. He shelled out just under $200 and brought it home. Ever since then, the Columbus Blue Jackets rearguard has spent countless hours honing his skills, furthering his passion for all things guitar. And while you won’t find him taking his talents to the stage any time soon, the 23-year-old Murray cherishes any opportunity to indulge in his favourite hobby. That said, if he was given the chance to perform live, there are two country stars he wouldn’t turn down. There’s also another singer-songwriter that has caught Murray’s ear, a fellow Saskatchewan native who is garnering plenty of attention outside of his home province. Colter Wall, who has termed his music a mix of folk, blues and Americana, has a big supporter in Murray. While adding vocals to his music world is a longshot at best, Murray always finds peace and relaxation when he plays the guitar. No word yet, however, if Murray has designs on putting on an acoustic show for his fellow Blue Jackets.